As a PCBA supplier, it would be a mistake to send a quotation and wait for a deal. How does a PCBA supplier stand out in the severe competition? EPCB regards that to answer this question, we must first stand in the perspective of the customer. 1.Professional impression: Customers believe professional people can achieve satisfactory results. Thus, whether your quotations are in a clear format, accurate in terms of words, whether the salesperson’s telephone is courteous and professional, and whether the company’s website is clearly visible in terms of professionalism, etc., are all customer evaluations of PCBA suppliers’ subconscious and conditioned reflexes. 2.Scale and PCB fabrication capability: Customers will carefully analyze the characteristics of their product projects, what kind of process capabilities are needed, so customers will browse the introduction of the company's scale and process capabilities as an important basis for evaluating PCBA suppliers. 3.Quality control method: The customer's initial assessment of the PCBA supplier will form a basic impression: quality-oriented or price oriented, high-end or low-end PCB manufacturing capability. 4.Business case: Whether the website has detailed case descriptions, not just put a few logos on it, it is best to have related background introductions, PCBA product pictures, etc. 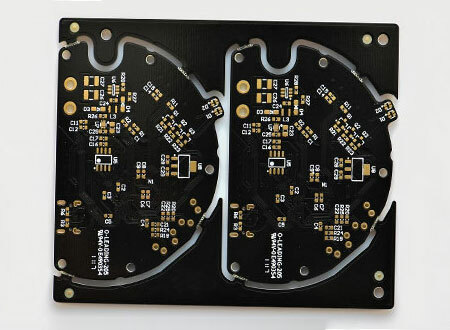 5.PCB quotation: PCBA supplier's analysis of quotations requires careful browsing of the supplier’s website to understand the size of PCBA supplier company and the positioning of the product in the market. For example, high-end products are bound to care about quality and service; low-end products are concerned with price and delivery.